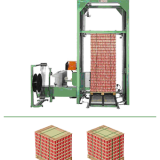 Tallpack International possesses the knowledge and expertise to offer strapping and bundling machines for all packaging issues. 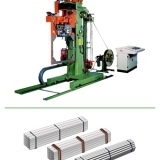 The strapping machines offered by Tallpack International are used in all sectors, including the food and steel industries, for standard applications and more specific applications like bundling hot coils. After many years of experience and many successful projects, no challenge is too big for Tallpack International. So let your strapping issues be a challenge for us. Strapping issues may sometimes require a tailor-made solution. This website has highlighted a number of applications. 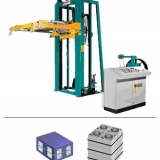 Tallpack will gladly modify these applications to suit the specific needs of customers. 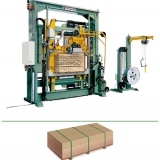 The applications have been divided into various industries, namely: Logistics & Warehousing, Metal & metallurgy industry, Cartons & graphic design industry, building materials industry, chip board & wood industry. If your preference has not been mentioned on this site, please feel free to contact us. 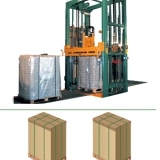 Tallpack International will be pleased to accept the challenge and guarantees a successful solution.